The 19.01 continues to advance their philosophy of using 'best in class' partners for all aspects of their watches. 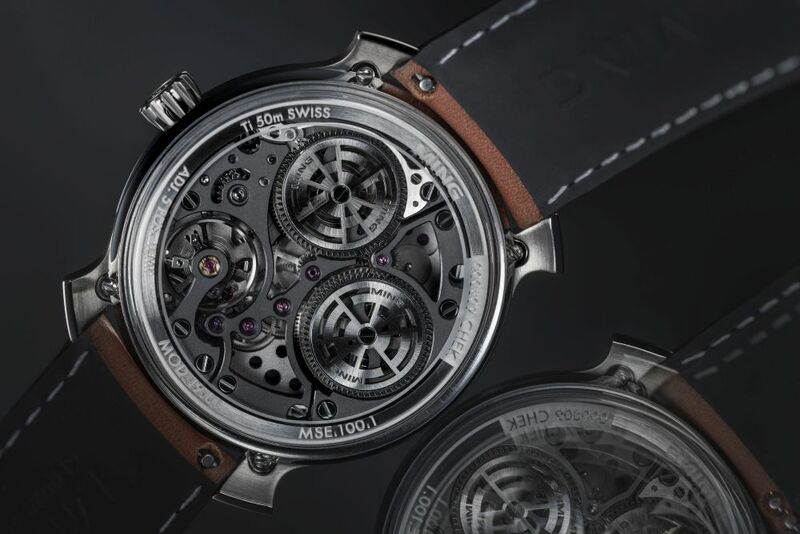 It was designed by Ming Thein in Kuala Lumpur, and serialized and assembled by Manufacture Schwarz-Etienne in La Chaux-de-Fonds. 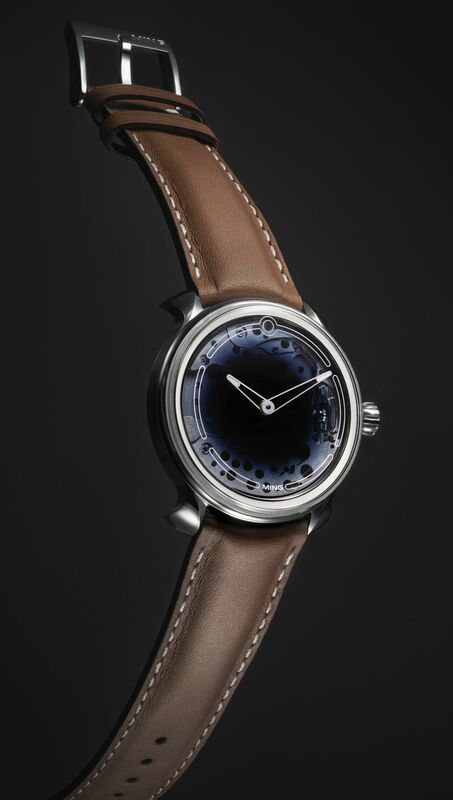 The case, in titanium, measures 39mm x 10.9mm. 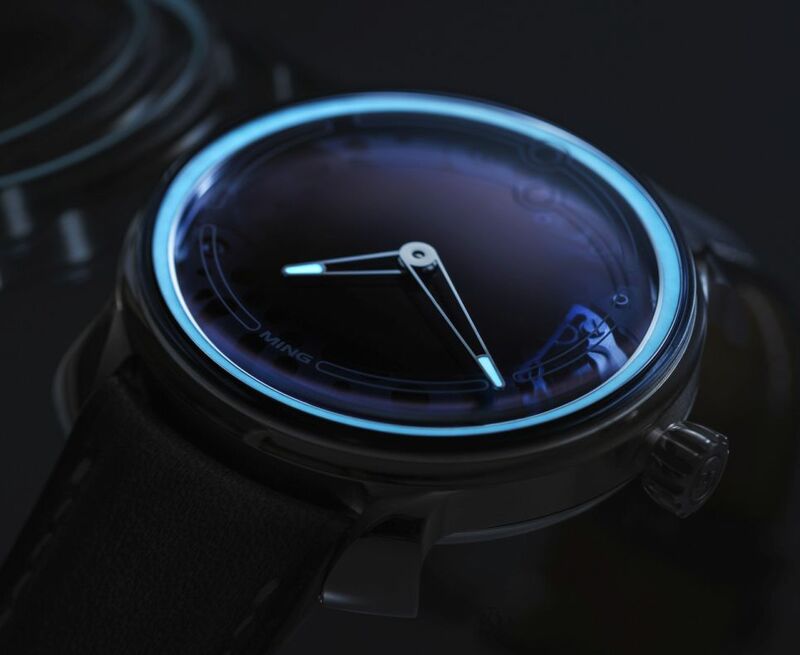 It has a domed AR-coated sapphire crystal, a sapphire display back, and it is water resistant to 50 meters. 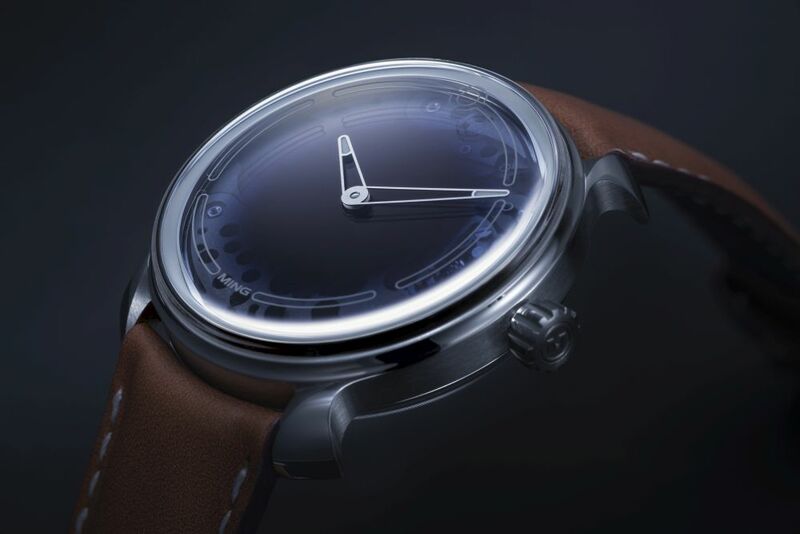 Polished bezel and lugs; finely brushed caseband. Rigid case without spacer rings. 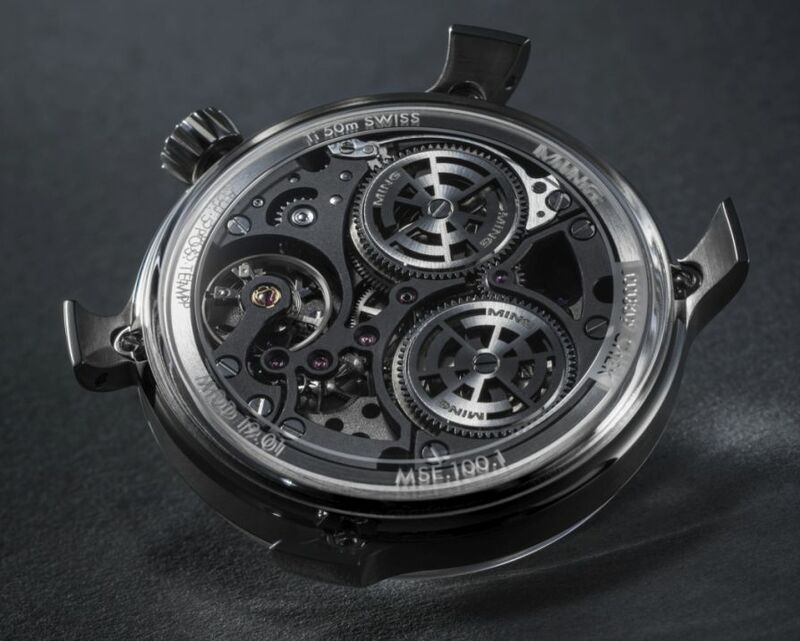 Movement is the Swiss manual-wind Schwarz-Etienne for MING caliber MSE100.1 with 38 jewels, 21,600 vph and a power reserve of 100 hours. Partial skeletonization with anthracite bead blasted bridges and anglage. Movement adjusted to five positions with a 250-hour test program. 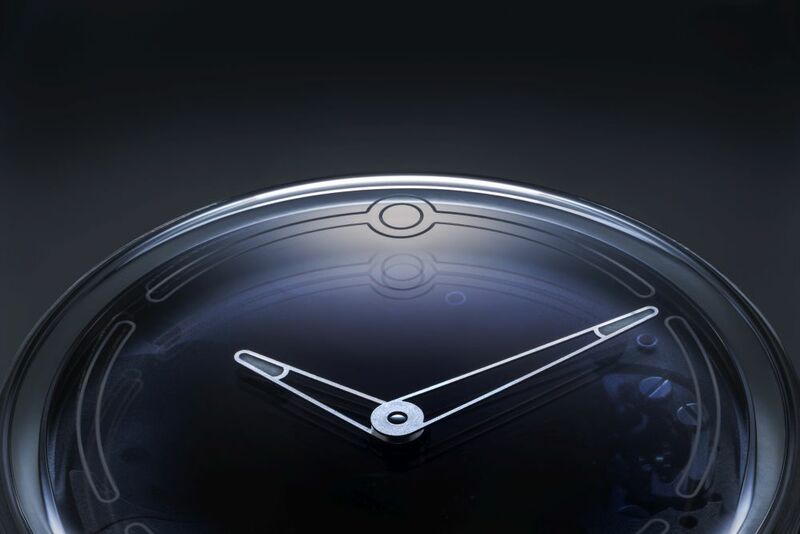 The sapphire dial has a radial gradient from opaque deep blue to transparent. Chapter ring, logo and rear markings laser-etched into the sapphire crystals. Hands and dial ring with filled with SuperLuminova. A unique lacquer process is used to achieve a deep opaque blue in the center, and fully transparent edges. It has a deep reflective lustre reminiscent of enamel. It comes with two 20mm calf leather straps by Jean Rosseau, Paris, with quick release pins and stainless steel buckles. It is delivered in a travel pouch, handmade vegetable tanned natural leather by Thirtyfour Bespoke, based in Kuala Lumpur. 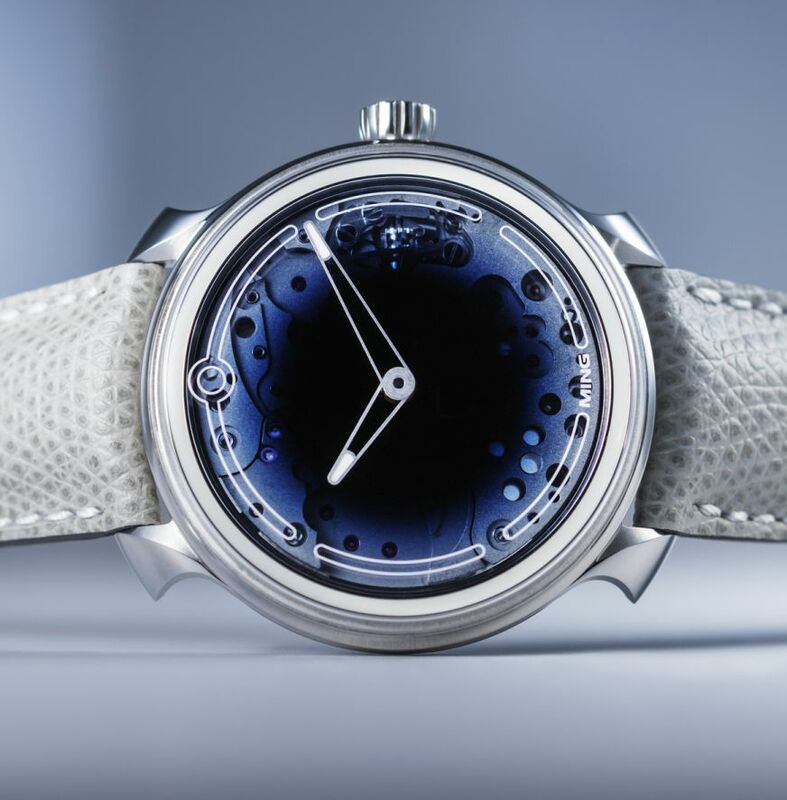 Regular MSRP is 7,900 Swiss Francs. A special price is available until December 31 of 6,800 Swiss Francs.